S t. Botolph was one of the earliest and most revered of East Anglian saints, and became known as the patron saint of wayfarers. Perhaps this is why our Church here has such an array of exotic bench end and pew carvings. You can find a "Green Man", a Merman ( or is it Mermaid?) , a monkey, an African Queen and all sorts of mytical creatures. 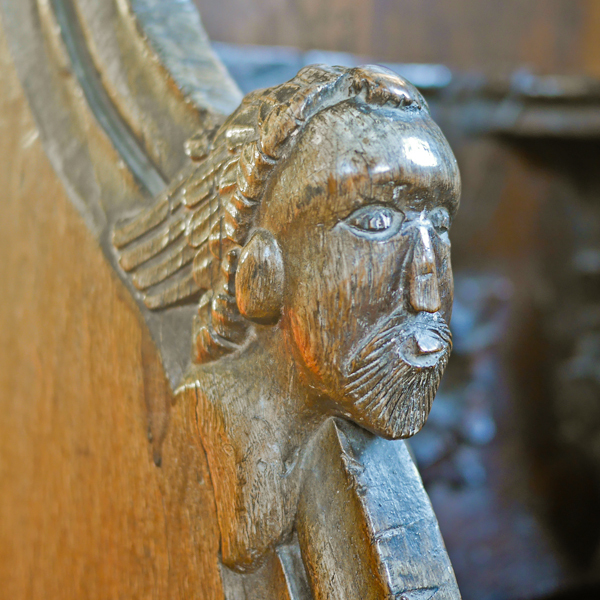 Many more are shown on the "Grimston's Medieval Carvings" page. The Society of St Botolph commemorates and remembers St Botolph, often described as England's most forgotten Saint. You can see their web site here.